​We see blue wing olives on the river twice a year, late fall and right now! 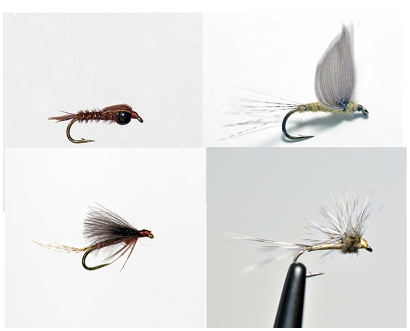 We have put together a great selection of tried and true patterns for our area waters. This selection includes 3 # 16 Lawson’s No Hackles, 3 # 16 Cdc Emergers, 3 # 16 Hackle Stackers and 3 # 16 Cocktail nymphs. We are still seeing blue wing olives in good numbers on the Henry’s Fork and they are just getting started on the Madison.